Warning: Spoilers ahead for Batman Incorporated #8, out on Wednesday. As the story seems to have been pretty thoroughly spoiled by now, don't be surprised to see them more generally understood to be known over the next few days. Peter Tomasi, the writer of DC's Batman & Robin ongoing series, faces a problem that isn't unique to him--certainly other comic book writers have experienced it over the years--but he may be the highest-profile sufferer of it in recent memory. 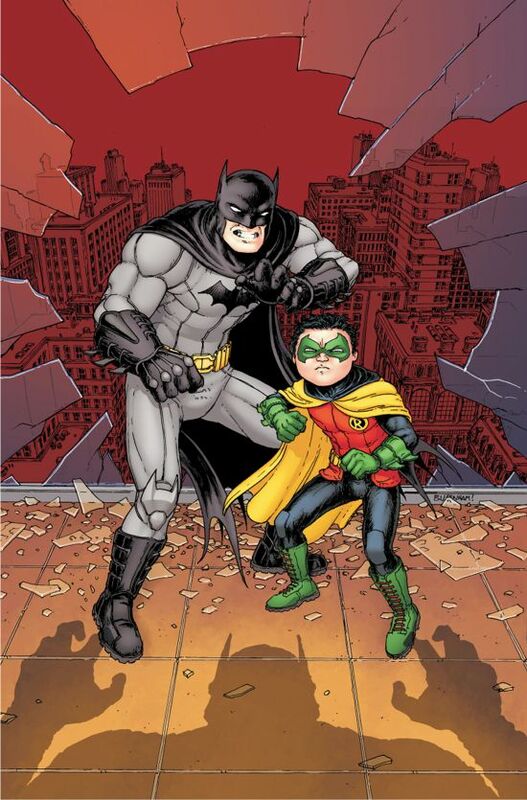 Someone else, you see, got to kill off the "Robin" half of "Batman and Robin," meaning that his next few issues will be flying a bit blind, with the repercussions of Damian Wayne's death reverberating through the book even though it wasn't Tomasi who wrote the issue in which Damian dies. "The first story I knew I had to tell after Damian's death would be Bruce's reaction in Batman and Robin #18," Tomasi told CBR. "It's an entirely silent issue; no text, no sound effects, storytelling at its purest form -- show don't tell -- and, holy crap, does Patrick Gleason show why, in my humble opinion, he might be one of the best Batman artists ever. He knocks it out of the park." 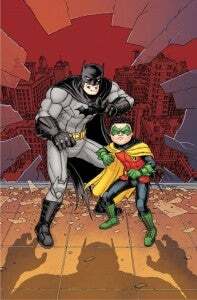 he added, "I think issues #17 and 18 of Batman and Robin show just how much Bruce needed Damian and Damian needed Bruce, and the reverberations of Damian's murder don't stop there. There are five stages of grief, and we intend to explore it in a very visceral way.The title of the series for the next several issues will change, the first being Batman And Red Robin, the second being Batman And Red Hood." He also seemed to suggest that while many, including ComicBook.com, have speculated and think they know where this is all going, Batman might not get another Robin right away. "Let's just say there's a big, epic picture in view over the horizon," Tomasi said, "but there's plenty of lightning storms and hurricanes for myself, Pat Gleason and our partners in crime Mick Gray and John Kalisz to still fly through before it all becomes clear."